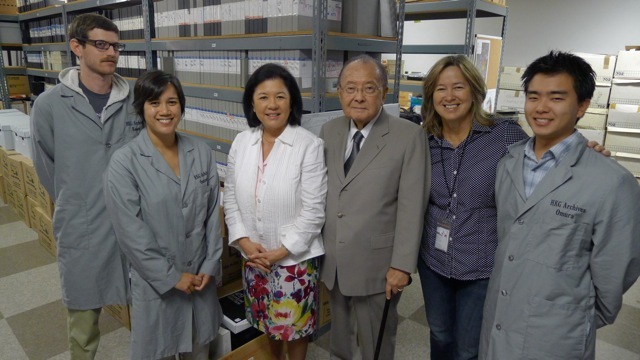 Senator Dan Inouye, Irene Hirano and members of the Senator’s staff visited the Archives on Aug 10 to tour our facility and to see the progress that we’ve made since starting operations in 2010. 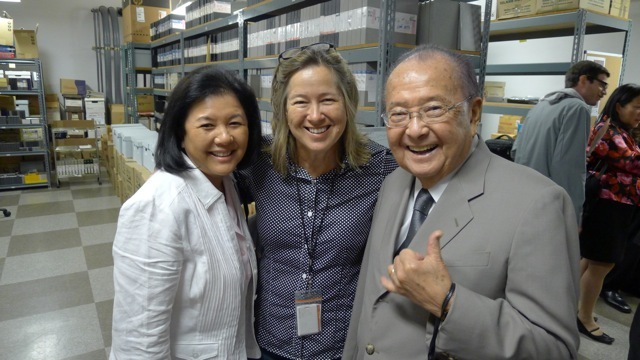 Sen. Inouye has always been a strong supporter of our moving image preservation efforts and was instrumental in the formation of the archives which honors his longtime aide Henry Ku’ualoha Giugni. Irene Hirano watches a passenger disembark from a 1920's Interisland Airways flight. The footage is from a 16mm film from the Lyman Museum. Staff gave demonstrations of our video cataloging, cleaning, and digitizing equipment and showed the Senator clips from our Pilot Project including footage of the Senator himself in the 1960s welcoming Jacqueline Kennedy as she arrives at the Honolulu airport. 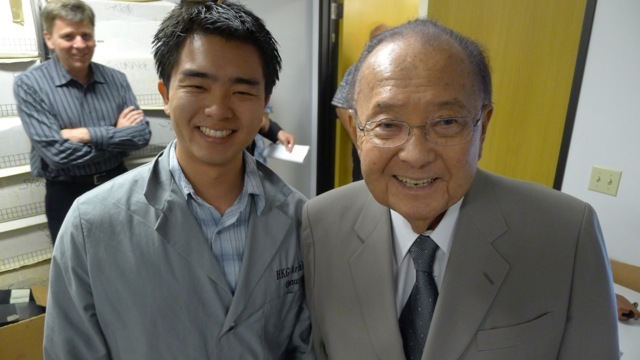 We were honored and thrilled by the visit from the Senator and his wife Irene!